I am a Postdoctoral Research Fellow at the University of Queensland's School of Veterinary Science. 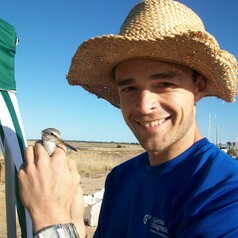 My PhD research focused on describing the evolution and spread of bird malaria parasites. I have since broadened my interests to investigate large-scale patterns in the spread and exchange of a variety of parasites of human and animal health significance. As a disease ecologist with expertise in genetics, bioinformatics, epidemiology and invasive species, my research intersects with a range of collaborators across a variety of disciplines. Currently I am leading projects to trace the spread of parasites between domestic pets and wildlife in Australia.